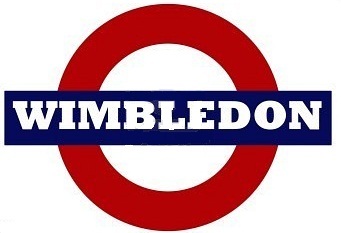 Wimbledon was recorded as Wunemannedunne c.950 and is derived from the personal name of the Saxon Winebeald and down, a hill' - means 'the hill where Winebeald lived', with his family. It has had various spellings in the course of time until recorded as Wimbledon in 1211. The original London & Southampton Railway station opened as WIMBLEDON on 21 May 1838. The platforms for terminating District Line trains were opened on 3 June 1889. The Southern Railway's architectural design arguably ran a close second to that of the Underground. This is Wimbledon, terminus of the District line from Earl's Court and seen in the 1950s.